This article is not about art, but about how contemporary artists “download” their inspiration from photographs. Glittering among the flow of illustrations was a young artist’s work, for the creation of which he had used Photolure agency photojournalist Vahram Baghdasaryan’s famous photograph. I remembered that two years ago another artist had used my photo in his creative work. Since the issue affected me, I decided not to write about it. Now this phenomenon has gained momentum en masse, and the desire to discuss the issue arose. When an Armenian creator is inspired by an Armenian photographer’s work, it’s unlikely that the latter will be filled with affection for the former and experience a gentle sense of pride. Usually, this affection lasts up until the moment the work is exhibited in a gallery — and is for sale. I didn’t wait till the work was exhibited or sold. Without any explanation, the smiley face reply told me that we will never understand each other, and launching a lawsuit against a local artist, in my opinion, is an unnecessary waste of time and money. The money I lost would serve as advertising for that artist in court. That’s all. If we even imagine that the matter makes it to court, in that case we would be putting the responsibility of the art critic on the judge’s shoulders. Knowing our judicial sector, I wouldn’t want to be in such a situation. In the best case scenario, the disputed work upon a judge’s decision would be sent to an expert committee. Guess who would’ve been on that committee. 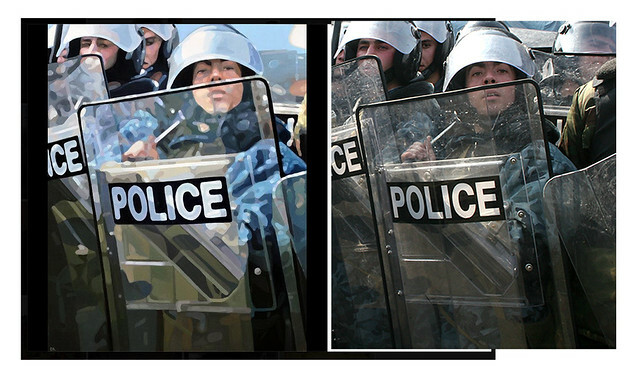 I assure you, you’ll find no photo expert — only contemporary art “experts.” And whose interests would they protect? It’s obvious, isn’t it? There’s no body in Armenia where photography experts work. It’s simply not possible to dig them up from anywhere. A few years ago, an artist had created an entire series of portraits (about 20 pieces) based on photos from the internet. Naturally, he had downloaded the photos with the help of Google. Everything was going smoothly as long as the works were being shown in Armenia. When the exhibit was getting ready to be shown in Europe, the artist decided to insure himself and wrote a letter to an unknown photographer in a distant country — with the request to use his photos. What a pity. If he had written the letter earlier — with a proposal to become a co-author of the project (the project, not the images) — most likely the artist would get a positive response. Court trials between photographers and artists have been held around the world. Artist Richard Prince holds the record in this area: five separate photographers have filed lawsuits against him. But it’s hard for a photographer to sue an artist who is backed by an art dealer like Larry Gagosian. In issuing a judgment, the trials rely on the views of critics and contemporary art scholars. And their view, put succinctly, is this: if the artist urinates on your photo, then he can boldly present it as his own work and sell it in a gallery as an example of contemporary art. Visitors spit, while Instagram users become furious… But joy to Gagosian and Prince — the works get sold. But Jeff Koons wasn’t as lucky. It wasn’t the first time he was forced to provide compensation for using others’ photos in his art works. Probably the French courts know more about art and are more conservative toward contemporary art. And so, a French court accused Koons of plagiarism. The two children in his 1988 sculpture Naked are extremely similar to photographer Jean-François Bauret’s 1975 photograph Enfants. The court ruled from the Pompidou Centre where the sculpture was to have been exhibited and ordered the artist to pay €40,000 (about US$49,850) in compensation, which the photographer’s widow, Claude Bauret-Allard, was to receive. The Jeff Koons LLC was likewise obliged to pay €4,000 for uploading a photo of the sculpture on its website. 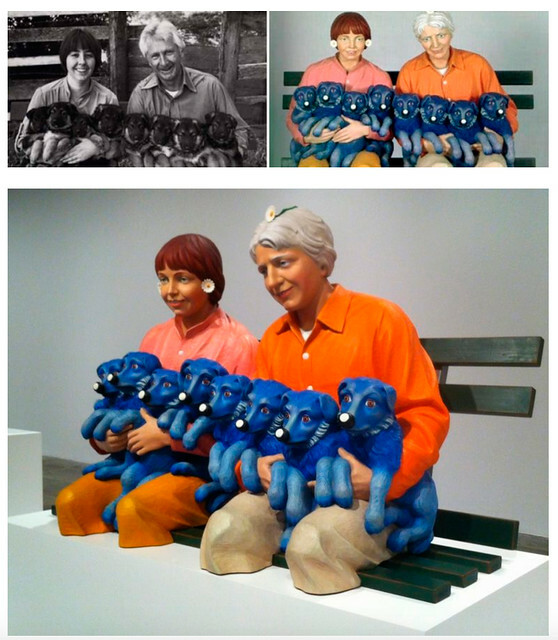 Jeff Koons’ String of Puppies was likewise deemed theft. This sculpture was created on the “motives” of Art Rogers’ photograph. The photographer not only won the lawsuit and received financial compensation, but also became the owner of one of the four existing sculptures. What conclusion can we draw from the above? I can only offer a way out, which is in line only with the Armenian reality. So as not to waste money and effort in the courts, it’s enough to call the photographer. Go for coffee, have a conversation. The photographer and artist can always get along. It’s a big world: you never know — maybe also a monetary reward.